Bill Curbow, Atif Azher and Peter H Gilman are partners, and Fred de Albuquerque and Audra Cohen are corporate associates, at Simpson Thacher and Bartlett LLP. They have wide-ranging experience in M&A and private equity matters, acting for clients including large multinationals, Fortune 500 companies and smaller and closely held private companies, as well as financial advisers, boards of directors and special committees. Mr Curbow represented the Vodafone Group in the US$130 billion sale of its 45 per cent stake in Verizon Wireless to Verizon Communications. Other clients include L-3 Communications, Crestwood Midstream Partners and First Reserve. Mr Azher’s clients have included Hellman & Friedman, Silver Lake Partners, Blackstone, TPG, KKR, Carlyle and Riverwood Capital. Mr Gilman has represented a number of the world’s leading sponsors in a wide range of alternative investment matters, including BC Partners, Blackstone, Centerbridge, Lexington Partners, Oaktree and Silver Lake. GTDT: What trends are you seeing in overall activity levels for private equity buyouts and investments in your jurisdiction during the past year or so? Bill Curbow, Atif Azher, Peter H Gilman, Fred de Albuquerque and Audra Cohen: Mergers and acquisitions activity levels in the US over the first half of 2018 increased 58.7 per cent year on year to US$953.1 billion of deals, according to Bloomberg. Private equity activity in the US was mixed compared to 2017 levels. According to data supplied by PitchBook, through the first half of the year, 2,247 private equity deals totalling US$263.9 billion have occurred in the US, representing an approximate 2 per cent increase in volume and 6 per cent decrease in value over the same period last year. With the continued growth in fund sizes in 2018, the number of private equity ‘mega-deals’ in the United States has increased to 11 deals over US$10 billion in the first half of 2018 compared with six in the first half of 2017, according to Mergermarket. GTDT: Looking at types of investments and transactions, are private equity firms primarily pursuing straight buyouts, or are other opportunities, such as minority-stake investments, partnerships or add-on acquisitions, also being explored? BC, AA, PHG, FdA & AC: In part because valuations remain at relatively elevated levels, private equity sponsors continue to look for creative ways to deploy their capital. For example, we have seen sponsors engage in partnerships with strategic sellers, minority preferred investments, add-on acquisitions and joint ventures. Additionally, many private equity sponsors based in the United States are increasingly looking to expand overseas to take advantage of more complex and sizable deals. Add-on acquisitions and minority investments remain a popular avenue to deploy capital in the United States, with PitchBook reporting add-on acquisitions and deals below US$25 million and accounting for about 66 per cent and 40 per cent of all US private equity buyout activity during the period, respectively. GTDT: What were the recent keynote deals? And what made them stand out? BC, AA, PHG, FdA & AC: Notable private equity transactions in the Americas in the first half of 2018 include: the US$9.9 billion take-private of Envision Healthcare Corporation by KKR, the largest private equity-backed buyout announced during the second quarter of 2018; the US$8.3 billion secondary buyout of BMC Software by KKR; the US$3.5 billion take-private of Blackhawk Network Holdings by Silver Lake; and the US$3.02 billion take-private of Financial Engines, Inc by Hellman & Friedman. These buyouts, while large, are smaller than some of the ‘mega-deals’ of recent years. GTDT: Does private equity M&A tend to be cross-border? What are some of the typical challenges legal advisers in your jurisdiction face in a multi-jurisdictional deal? How are those challenges evolving? BC, AA, PHG, FdA & AC: Significant cross-border private equity activity is atypical, although there has been growing interest in cross-border deals, particularly among larger funds with the capacity to manage such transactions. Many large-cap sponsors have stand-alone region-focused funds, such as Asia-focused funds, that have fund mandates to make investments in particular geographical regions. It is more common for non-US private equity sponsors, such as European funds or Asian funds, to look to the United States for potential investment opportunities. The primary challenges to cross-border investments revolve around financing, tax considerations, regulatory compliance and securities laws limitations. In addition, US sponsors seeking to sell portfolio companies to non-US buyers or considering other transactions involving sales to foreign acquirors should be aware of the possibility of review by the Committee on Foreign Investment in the United States (CFIUS). CFIUS is a multi-agency committee authorised to review transactions that could result in foreign control over US businesses for potential impacts on US national security. CFIUS has authority to negotiate and implement agreements to mitigate any national security risks raised by such transactions. Absent a mitigation agreement, CFIUS can recommend that the US President suspend, prohibit or unwind a transaction. A CFIUS review can add delays and meaningful uncertainty to transactions depending on the nature of the target business and the identity of the foreign acquiror. In transactions involving sales of portfolio companies that are in sensitive industries or that handle sensitive data and, in each case, that implicate national security concerns, sponsors will be prudent to consider proposing reverse termination fees or pre-emptive divestitures, to discuss possible mitigation measures and to build political support. Since 2012, acquisitions involving Chinese acquirors have been the most reviewed transactions pursuant to the CFIUS review process. Given the Trump administration’s avowed trade policies and anti-China rhetoric, as well as heightened tensions around North Korea and Russia, and with the recent enactment of significant CFIUS reform legislation (the Foreign Investment Risk Review Modernization Act of 2018) that expanded CFIUS’s jurisdiction and created a longer time frame for CFIUS review, among other reforms, many practitioners are preparing to experience a tougher CFIUS hurdle and expect increased scrutiny of inbound investments from Chinese buyers to continue. While the regulatory and other challenges in cross-border sponsor exits and other transactions, including CFIUS review, are often manageable in many contexts, they increase the level of resources required and may otherwise complicate the process for executing such transactions. GTDT: What are some of the current trends in financing for private equity transactions? Have there been any notable developments in the availability or the terms of debt financing for buyers over the past year or so? BC, AA, PHG, FdA & AC: In the past year, there has been a relaxation of guidelines promulgated by the Federal Reserve and the OCC for financial institutions by the new administration, but there still remains a high degree of uncertainty in the current regulatory environment. Nonetheless, dealmakers have been able to find relatively attractive pricing and availability of credit for transactions involving high-quality assets. Overall, the debt financing markets in the US have remained open, with sponsors finding ready access to debt financing in the first half of 2018. In the second quarter of 2018, average debt-to-EBITDA multiples for broadly syndicated leveraged buyout transactions were holding firm at 6.3x overall, and 6.1x for institutional middle-market leveraged buyouts over the same period (Thomson Reuters). For the first half of 2018, average purchase price multiples were at 10.4x for broadly syndicated leveraged buyout transactions, and 11.3x for institutional middle-market deals (Thomson Reuters). The average equity contribution for broadly syndicated leveraged buyouts declined to 36 per cent overall, and are at 47 per cent for institutional middle-market leveraged buyouts (Thomson Reuters). GTDT: How has the legal, regulatory and policy landscape changed during the past few years in your jurisdiction? BC, AA, PHG, FdA & AC: As a result of the passage of the Dodd–Frank Act in 2010, most private equity firms are now required to register with the SEC as investment advisers. Although the Trump administration recently signed legislation to roll back certain aspects of the Dodd–Frank Act, the effects of this legislation has not yet been determined. Dodd–Frank imposes extensive compliance obligations for the industry. In addition, in recent years, the SEC has focused on examining private equity firms with the goal of, among other things, promoting compliance with certain provisions of the Investment Advisers Act that the SEC deems of particular importance. In recent years, certain private equity industry practices have not only received significant attention from the SEC, but in certain cases have also led to enforcement actions against private equity fund advisers. Areas that the SEC continues to highlight as of particular concern include, among others: (i)(a) allocation of expenses (including for the compensation of operating partners, senior advisers, consultants and employees of private equity fund advisers or their affiliates (including seconded employees) for providing services (other than advisory services) to funds or portfolio companies as well as for payment of a private equity fund adviser’s regulatory compliance expenses) to funds or portfolio companies, or both, as well as (b) full allocation of broken deal expenses to funds instead of allocating a portion of such expenses to separate accounts, co-investors or co-investment vehicles, in each case without pre-commitment disclosure and consent from investors; (ii) receipt by private equity firms of transaction-based compensation or other fees or compensation from funds or portfolio companies, or both, which is outside of the typical management fee or carried interest structure (eg, an acceleration of monitoring fees and compensation for the provision of brokerage services in connection with the acquisition and disposition of portfolio companies without being registered as a broker-dealer); (iii) allocation of investment opportunities by private equity sponsors among investment vehicles and funds that they manage; (iv) allocation of co-investment opportunities; (v) disclosure of conflicts of interest to investors, including those arising out of the outside business activities of a private equity firm’s employees and directors; and (vi) receipt of service provider discounts by private equity firms that are not given to the funds or portfolio companies. The ‘broken windows’ approach to regulatory enforcement embraced by the SEC during the Obama administration put pressure on private equity firms to provide robust pre-commitment disclosure of and obtain consent for conflicts of interest and to adopt and enforce sound compliance policies and procedures to mitigate such conflicts of interests. Although private equity has remained a priority for SEC enforcement in the new administration, the ‘broken windows’ enforcement approach has abated. We continue to believe that larger established private equity firms that have such systems and resources in place will continue to be better positioned to absorb the incremental costs and compliance burdens associated with such increased scrutiny. The JOBS Act and the SEC significantly amended certain aspects of the regulation governing the private offering and sale of securities (including limited partner interests in private equity funds) that are designed to permit greater flexibility for issuers. Despite these recent improvements and the adoption of Rule 506(c) permitting the use of general solicitation and general advertising in private placements, the conditions imposed by the SEC and the heightened compliance obligations (eg, enhanced verification) and costs associated with relying on Rule 506(c) imposed on private equity funds create a burdensome process and private equity funds have not yet utilised such rules in any meaningful way in their current form. In addition, the SEC adopted bad actor disqualification provisions in Rule 506(d) under which issuers are prohibited from relying on the Rule 506 safe harbour (whether or not the proposed offering involves a general solicitation) if the issuer or any other ‘covered person’ was subject to a ‘disqualifying event’ that occurred on or after 23 September 2013, which have in some cases significantly affected the ability of private equity firms to conduct private placements. On 22 December 2017, President Trump signed major tax reform legislation passed by the House and Senate under the Tax Cuts and Jobs Act (the Tax Reform Bill), which is generally effective as of 1 January 2018. Among the numerous changes included in the Tax Reform Bill are (i) a permanent reduction to the corporate income tax rate, (ii) a partial limitation on the deductibility of interest paid or accrued on indebtedness properly allocable to a trade or business (subject to certain exceptions), (iii) a new deduction for individuals receiving certain business income from ‘pass-through’ entities, and (iv) a partial shift of the US taxation of multinational corporations from a tax on worldwide income to a territorial system (along with a transitional rule that taxes certain historic accumulated earnings and rules that prevent tax planning strategies that shift profits to low-tax jurisdictions). The impact of the new and sweeping tax law changes on private equity transactions is uncertain. GTDT: What are the current attitudes towards private equity among policymakers and the public? Does shareholder activism play a significant role in your jurisdiction? BC, AA, PHG, FdA & AC: While negative attitudes concerning private equity buyouts seems to have waned over the past few years, shareholder activism associated with mergers and acquisitions activity has become increasingly prominent – irrespective of whether there is any private equity involvement. As a result, private equity sponsors seeking to effect ‘going private’ transactions or investing alongside a strategic partner are becoming increasingly mindful of the investor relations aspects of such transactions and are evaluating the risks of potential shareholder activism as part of the ‘mix’ of factors in connection with effecting such transactions. Despite the passage of the Economic Growth, Regulatory Relief and Consumer Protection Act, which rolled back certain regulations and requirements imposed by the Dodd–Frank Act, including stress tests, on small and medium-sized banks, the regulatory landscape otherwise largely remains unchanged as of the first half of 2018. However, with a number of prominent private equity names serving in cabinet and other roles in the new administration, some people in the industry are expecting that regulators will take a more relaxed approach to oversight of financial sponsors. GTDT: What levels of exit activity have you been seeing? Which exit route is the most common? Which exits have caught your eye recently, and why? BC, AA, PHG, FdA & AC: Private equity-backed exit activity slowed down during the first half of 2018, continuing the trend in exit activity seen in 2017. According to data supplied by PitchBook, sponsors executed 481 exits in the United States accounting for approximately US$83.5 billion in the first half of 2018, representing a 19.8 per cent decrease in exit volume and a 14.2 per cent decrease in total exit value as compared with the first half of 2017. The business-to-business sector dominated the private equity exit landscape, with 33 per cent of all total exit value achieved during the period, according to PitchBook. Building on an increase in initial public offerings (IPOs) at the end of 2017, the US IPO market has continued to rebound thus far in 2018. Halfway through 2018, the overall IPO market has raised 39.5 per cent more capital than during the first half of 2017, and more companies went public during the second quarter of 2018 than during any quarter in the past three years (Renaissance Capital). The IPO market for PE-backed listings was highly active in the first half of 2018, with 25 completed listings backed by private equity sponsors, according to FactSet. More than half of US IPO listings during the first half of 2018 were backed by financial sponsors, and financial sponsor-backed IPOs raised 55 per cent of the US$16.5 billion raised during the second quarter of 2018, according to FactSet. The largest PE-backed IPO of the second quarter of 2018 was the offering by BJ’s Wholesale Club, which raised approximately US$733 million. Other notable private equity exits during the first half of the year included KKR’s US$8.3 billion secondary buyout of BMC Software and Charlesbank Capital Partners and Partners Group’s US$2.4 billion secondary buyout of Hearthside Food Solutions. Both of these transactions showcase the trend of exits via financial-sponsor secondary buyouts rather than strategic acquisitions. Secondary buyouts constituted 31 per cent of PE-backed exits in the first half of 2018, according to PitchBook. GTDT: Looking at funds and fundraising, does the market currently favour investors or sponsors? 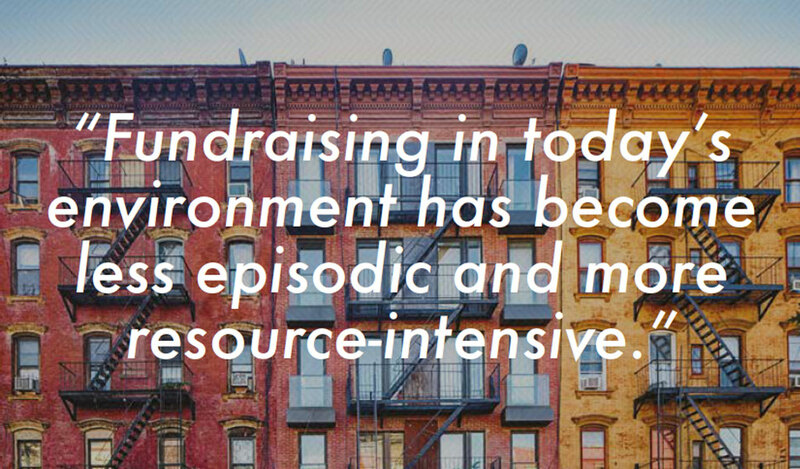 What are fundraising levels like now relative to the past few years? BC, AA, PHG, FdA & AC: Global private capital fundraising during the first three quarters of 2018 has been very strong, witnessing more capital raised over the same period than any year except 2017. Overall, private capital funds have raised US$577 billion during the first three quarters of 2018, and private equity focused funds in particular have raised US$308 billion. While this is down from the record amount of US$431 billion of capital raised by private equity funds over the same period in 2017, it compares very favourably to prior years and reflects the continued strength of the fundraising environment. Fundraising by established, top-performing sponsors at the upper end of the private equity market continues to remain strong, accounting for an increasing portion of the capital raised during the first three quarters of 2018, according to Preqin. This reflects a continuation of the trend witnessed in recent years towards consolidation and the ‘flight to quality’, where larger established sponsors with proven track records are having considerable success raising large private equity funds on favourable terms, while first-time funds and sponsors without proven track records continue to find it challenging to compete in today’s environment. Competition among private equity funds has continued to increase as the number of private equity funds in the market has continued to increase in recent quarters, reaching 3,992 funds in market as of October 2018, according to Preqin (as compared to 2,965 at the beginning of 2017). The increase in competition and the consolidation of capital by investors in alternative asset classes has contributed to the recent surge in ‘mega’ funds and has resulted in larger funds capturing an increased share of the private equity fundraising market. In Q3 2018, the 10 largest funds accounted for over half of the total capital raised by private equity funds. Strong continued economic growth and a stable interest rate environment in the United States have contributed to continued success in fundraising by firms focusing on investments in North America. In Q3 2018, private equity funds focusing on North America raised US$82 billion, while their counterparts focusing on Europe and Asia raised US$10 billion and US$25 billion, respectively, according to Preqin. Asia has also witnessed a resurgence in fundraising, where a handful of very large growth vehicles are dominating the market. Of the 10 largest private equity funds in market, six are focused on Asia while four are focused on North America, signalling an increase in the overall depth of the Asian private equity market and the concentration of capital in the region. In terms of industry-wide trends, institutional limited partners are continuing to place increased emphasis on consistent track records and stability, tending to make larger commitments to fewer private equity funds, and established top quartile sponsors have continued to be able to raise larger funds in shorter periods of time and capture a greater share of the overall private equity fundraising market. High pricing levels of assets and low interest rates have contributed to the substantial exits and distributions to limited partners over the past few years and have enhanced private equity fundraising for many sponsors as investors seek to redeploy those distributions into new private equity funds. Many institutional investors have also increased their overall portfolio allocation to the private equity asset class. The amount of capital distributed by private equity funds to investors in recent years has been significantly more than the amount of capital called from investors. There has also been a continued focus on strategic relationships and alternative fundraising strategies, including customised separate account arrangements, co-investment arrangements and multi-strategy (umbrella) arrangements and new product development (eg, a number of established sponsors have raised longer life, lower risk and return funds in asset classes such as private equity and real estate). GTDT: Talk us through a typical fundraising. What are the timelines, structures and the key contractual points? What are the most significant legal issues specific to your jurisdiction? BC, AA, PHG, FdA & AC: While fundraising in today’s environment has become less episodic and more resource-intensive, with fund structures, terms and marketing timelines customised to most effectively address the business objectives of the sponsor, below is a simplified framework and timeline for a typical private equity fundraising. In most cases, the typical fundraising will begin with the preparation and distribution of a private placement memorandum to investors, which includes important information about the sponsor and the fund, including a term sheet setting forth the key terms of the fund and the offering of interests, along with additional disclosure information pertaining to the fund. Many private equity funds are structured as Delaware limited partnerships, but the structure and jurisdiction of the fund will depend largely on the sponsor and the asset class, geographical focus and anticipated investor base of the fund. It is not uncommon for private equity funds to be organised in jurisdictions outside the United States (eg, the Cayman Islands). Legal counsel will also work closely with the sponsor as part of the fundraising to prepare the draft limited partnership agreement, investment management agreement, subscription agreement and related fund documents, which are the definitive agreements governing the operation of a private equity fund. Key contractual points in the fund documents will vary on a case-by-case basis, but often include economic arrangements (eg, management fees and carried interest), tax structuring provisions and minimisation covenants, investment allocation provisions, limited liability protections, standards of care, governance rights, co-investment arrangements and allocations of expenses. It should be noted that increased regulatory scrutiny has resulted in a change in how marketing and offering documents are prepared. Drafting fund documents is now a resource and time-intensive exercise as pages and pages of granular disclosure are often added to such documents and more frequent updates to such documents are often made throughout fundraising in an effort to increase transparency. Following delivery of the fund documents to investors, counsel and the sponsor will work closely with investors to resolve any questions or comments, and once a critical mass of investors’ subscriptions has been secured, the fund will hold an initial closing. Fundraising timelines in private equity can vary significantly depending on the sponsor involved and the type and size of fund being raised, running anywhere from a few months to a few years. Once an initial closing has been held, a private equity fund will typically be permitted to hold subsequent closings over a period of 12 to 18 months. As the regulation of private equity funds continues to increase, it remains very important for sponsors to work closely with counsel to ensure that all necessary steps are taken to permit marketing in each jurisdiction in which fund interests are to be marketed. GTDT: How closely are private equity sponsors supervised in your jurisdiction? Does this supervision impact the day-to-day business? BC, AA, PHG, FdA & AC: Private equity firms are subject to substantial regulation and supervision in the United States, and the regulatory environment in which private equity firms operate is becoming increasingly complex. The regulation and supervision of private equity firms affects not only the manner in which interests in private equity funds are marketed and sold to investors, but also the day-to-day business and operations of private equity firms themselves. The principal laws and regulations applicable to private equity firms affecting their day-to-day business and operations include, among others, the Securities Act of 1933 (affecting the manner in which private equity funds market and sell interests to investors), the Securities Exchange Act of 1934 (affecting ongoing reporting obligations and placing practical limitations on the number of investors in private equity funds), the Advisers Act (imposing substantive regulations and reporting provisions on many private equity fund advisers), the Investment Company Act of 1940 (establishing certain eligibility requirements and limitations on investors in private equity funds), the Commodity Exchange Act (regulating the ownership of commodities by private equity funds) and the Employee Retirement Income Security Act of 1974 (imposing restrictions and onerous fiduciary requirements on private equity funds deemed to hold ‘plan assets’). Since the SEC gained oversight of the industry under the Dodd–Frank Act five years ago, the regulatory and public scrutiny of private equity firms has increased significantly. The SEC is finding more regulatory lapses among private equity firms, particularly related to expenses and expense allocation, conflicts of interest and other disclosure matters. The increased focus on private equity firms by the SEC, which we expect to continue in the foreseeable future, and the varying areas of concern the SEC emphasises from time to time have resulted in increased compliance burdens for private equity fund sponsors and impact both the day-to-day conduct of a private equity sponsor’s business and the formation, marketing and management of private equity funds. Private equity firms with dedicated compliance, investor relations and administrative resources necessary to manage the increased regulatory and compliance burdens in addition to investor demands in today’s competitive fundraising environment are likely to continue to enjoy an advantage in the future. GTDT: What effect has the AIFMD had on fundraising in your jurisdiction? BC, AA, PHG, FdA & AC: The AIFMD, as transposed into national law within the member states of the European Economic Area (EEA), has imposed significant requirements on non-EEA fund managers that market private equity funds to professional investors within the EEA. One of the central aims of the AIFMD is to harmonise the regulation of fund managers across Europe; however, until non-EEA fund managers are able to become authorised and benefit from the harmonised regime, non-EEA fund managers are limited to marketing their funds on the basis of ‘private placement’ or local requirements. There is no requirement for EEA member states to offer private placement to non-EEA fund managers and where it is permitted, the member state is free to impose requirements more stringent than the minimum required under the AIFMD. As it stands, some member states do not allow any marketing by non-EEA fund managers and of those that do allow it, some ‘gold-plate’ the standards imposed by the AIFMD. In practice, the patchwork of private placement regimes across EEA member states has caused uncertainty for many non-EEA fund managers regarding their ability to market to investors in the EEA and has in practice hindered their ability to raise capital in Europe. The AIFMD has meaningfully increased the compliance burdens and costs associated with private equity firms marketing alternative investment funds to non-retail investors in the EEA, resulting in a number of US private equity funds, particularly smaller firms that do not have the necessary compliance and fundraising infrastructure in place, deciding not to market in Europe to avoid the additional regulatory burdens and costs imposed by the AIFMD. For example, while the registration and approval process in certain member states where private placements are permitted has settled into a predictable pattern, there remains legal uncertainty as to the meaning of key terms, such as what constitutes ‘marketing’ (and therefore what constitutes ‘pre-marketing’) and ‘reverse solicitation’. The European Commission has put forward a formal proposal to amend the AIFMD to incorporate a definition of ‘pre-marketing’ and to remove the possibility of relying on reverse solicitation once pre-marketing has occurred, but that proposal, in such form as it may ultimately be agreed, is unlikely to become effective before 2021. Minimum transparency requirements under the AIFMD (eg, annual reports, periodic AIF and AIFM reports, pre-investment disclosure to investors, notification in respect of control of non-listed companies, etc) create ongoing administrative and compliance burdens for non-EEA fund managers and result in significant additional costs. The application process for marketing by non-EEA fund managers (where it is allowed) varies across Europe, with some member states only requiring an email notification in a prescribed form and others requiring approval of a more extensive application prior to marketing. However, unlike in the past, in member states where approval is required, the process now takes (on average) only a couple of months. The increased regulation imposed by the AIFMD, together with a broader trend towards increasing scrutiny and regulation of private equity firms, has compelled many private fund managers to adopt more systematic and integrated compliance operations as part of their overall fundraising activities. We believe that larger established managers that either have the systems and resources in place or that can readily adapt to these requirements are better placed to absorb the incremental costs and compliance burdens associated with the AIFMD. Larger managers should therefore enjoy a competitive advantage among their peers as smaller firms will likely feel a disproportionate impact on their businesses as a result of the AIFMD. The result of this relative disadvantage may be the rise of hosted solutions, where an authorised EEA manager offers to manage an EEA fund and delegate portfolio management to the non-EEA manager. In theory, the non-EEA manager bears only a small proportion of the cost for compliance, but gains the efficiency of marketing throughout the EEA under the passport and can focus more attention on the investment strategy. The hosted solution is becoming increasingly popular. As a consequence of Britain’s anticipated exit from the European Union, there is a higher level of scrutiny on arrangements that provide access to the European market, including hosted AIFM platforms. Although Britain’s exit from the EU will have no effect on non-EEA managers marketing under private placement, whether in the UK or elsewhere in Europe, it may, or it is likely, to affect non-EEA managers who have authorised affiliates in the UK who assist with marketing or who otherwise provide investment services on a cross-border basis in other EEA member states under a single market directive (eg, the Markets in Financial Instruments Directive (MiFID)). The AIFMD, published in 2011, includes a procedure that could enable non-EEA managers to obtain authorisation. The main benefit of obtaining authorisation would be the ability to market funds to professional investors throughout the EEA under a passport. However, this would require full compliance with the AIFMD. The rules under which a non-EEA AIFM could obtain authorisation are included within the AIFMD, but are not currently in effect. These rules can be brought into effect by a decision of the EU Commission based on advice from the European Securities and Markets Authority, although no such decision has been made to date. While private placement, with all its pitfalls, has become familiar and can be a workable marketing strategy for US private equity sponsors seeking to raise capital from investors in the EU, it remains critical for such sponsors to work closely with legal counsel to establish a ‘marketing road map’ in the EEA that is tailored to the sponsor’s intended marketing activities and investor base, and to work with counsel to understand how the private placement regimes and local requirements differ across the EEA. Regulatory compliance is no longer simply a cost of doing business, but rather an integral part of any private equity sponsor’s global marketing programme. Fund managers that do not have the resources and counsel necessary to address the additional regulatory and compliance obligations arising out of the AIFMD may find it increasingly difficult to comply with the AIFMD and market funds in the EU, which is likely to have an ongoing and significant impact on fundraising by US private equity firms. GTDT: What are the major tax issues that private equity faces in your jurisdiction? How is carried interest taxed? Do you see the current treatment potentially changing in the near future? BC, AA, PHG, FdA & AC: US tax rules are very complex and tax matters play an important role in both fund formation and the structure of underlying fund investments. Tax issues that have been given particular focus as of late include (i) the implementation of the numerous changes related to the Tax Reform Bill (as described above), (ii) the implementation of due diligence, information reporting and withholding rules pursuant to the Foreign Account Tax Compliance Act, (iii) the proper tax treatment (including deductibility) of monitoring fees paid by underlying portfolio companies to a private equity fund’s investment adviser and (iv) the partnership audit rules, which may impose liability for adjustments to a partnership’s tax returns on the partnership itself. Consultation with dedicated tax advisers with respect to specific transactions and issues is highly recommended. Special consideration is given to structuring the carried interest such that it is treated as a partnership allocation eligible for taxation on a flow-through basis. It is sometimes desirable to separate the general partner (namely, the recipient of the carried interest) and the investment manager (namely, the recipient of the management fee) into separate entities for state tax and other purposes. Private equity sponsors must also be aware of tax issues relating to management and employee compensation, which will be relevant to structuring management’s investment and post-closing incentives. An example of one such tax issue is that compensation triggered by a change of control, including certain severance and consideration for equity holdings, may be ‘excess parachute payments’, which are subject to a 20 per cent excise tax (in addition to ordinary income taxes) and which may not be deducted by the target. Another example involves the tax treatment of different types of stock options. If an option is an ‘incentive stock option’, under typical facts, no income is realised by the recipient upon grant or exercise of the option and no deduction is available to the company at such times. Employees recognise tax at capital gains rates when the shares acquired upon option exercise are ultimately sold (if the applicable holding period requirements are met), and the company takes no deduction. If the award is a non-qualified stock option, no income is recognised by the recipient at the time of the grant and no deduction is available to the company at such time; rather, income is recognised, and the deduction is available to the company at the time of option exercise. There are a number of limitations on incentive stock options, and private equity sponsors generally prefer to maintain the tax deduction; accordingly, non-qualified stock options are more typical. A final example involves ‘non-qualified deferred compensation’. If a deferred compensation plan is ‘non-qualified’, all compensation deferred in a particular year and in prior years may be taxable at ordinary income rates in the first year that it is not subject to substantial risk of forfeiture, unless payment is deferred to a date or event that is permitted under tax code Section 409A’s rules governing non-qualified deferred compensation. GTDT: Looking ahead, what can we expect? What might be the main themes in the next 12 months for both private equity deal activity and fundraising? BC, AA, PHG, FdA & AC: Overall, US private equity deal flow slowed in the first half of 2018 as compared to the same period in 2017. Practitioners are hoping that debt financing markets hold firm as buyers of multinational businesses are increasingly scrutinising how any acquired assets will perform in a potentially more volatile macro-environment going forward. We believe that valuations for highly sought after targets for sale may continue to be propped up by strong competition. US private equity funds continue to hold a record amount of deployable capital, having accumulated more than US$1.07 trillion by the end of the second quarter of 2018, according to Preqin. In addition, we expect to see a continued trend towards add-on acquisitions and smaller deals as sponsors work more closely with industry executives to find transactions with synergies to build portfolio company value. We also expect that the trends and developments witnessed in the first half of 2018 with respect to fund formation will continue as the consolidation in the private equity industry continues. Competition for investor capital among private equity funds will continue to increase, with alternative fundraising strategies continuing to play a substantial role. Likewise, established sponsors with proven track records and the ability to absorb incremental burdens associated with today’s continued scrutiny and enhanced regulation of the private equity industry should continue to enjoy a competitive advantage. In conclusion, the current mix of factors makes it difficult to predict whether private equity sponsor activity will trend upwards in the second half of 2018. High levels of dry powder combined with easy access to debt financing are likely to drive dealmaking. However, overall volume may be tempered by fewer quality targets coming to market and continued trend of smaller add-on, or strategic, acquisitions by portfolio companies. Political, economic and regulatory uncertainty may also temper deal flow as dealmakers wait to see whether the new administration in the United States will undertake rollback of financial regulations, including parts of the Dodd–Frank Act. Each of these factors creates uncertainty for the direction of private equity deal activity in the third quarter of 2018. What factors make private equity practice in your jurisdiction unique? Overall, the United States continues to rank as the top market for private equity, reflecting the depth (in terms of size and liquidity) of its capital market and an ingrained culture of innovation. The United States is home to many of the world’s most successful and well-established private equity firms, which have traditionally raised the largest buyout ‘mega’ funds. Historically, United States-focused fundraising has surpassed that of all other regions for private equity investment. As the traditional base of private equity, the United States has attracted the lion’s share of capital over the years, and 2018 has been no different. During the second quarter of 2018, 122 North America-focused funds raised US$36.9 billion of aggregate capital, according to Preqin (as compared to 42 Europe-focused funds raising US$20.9 billion and 46 Asia-focused funds raising US$21.9 billion in the second quarter of 2018). Through the years, the private equity industry has matured and the experience of fund managers has broadened such that investors continue to view the United States as an attractive jurisdiction for their investment. What should a client consider when choosing counsel for a complex private equity transaction in your jurisdiction? The main consideration in selecting a legal adviser is depth of experience in the private equity sector and a creative and commercial approach to problem-solving. Practical experience combined with industry acumen are critical to advising complex transactions dealing with fund formation, minority investments, mergers and acquisitions, financing solutions and exit transactions. In addition, counsel should have insight into the needs of every participant in private equity transactions, such as private equity sponsors, senior bank lenders, subordinated and bridge lenders, tax advisers, management and financial investors and underwriters. As such, a client would benefit from counsel who offer cross-practice excellence (eg, finance and banking practice areas that provide advice to private equity clients on financing solutions at all levels of the capital structure).